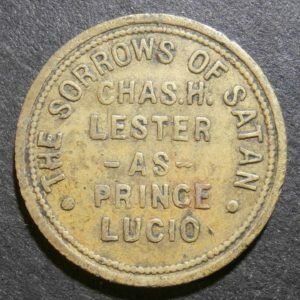 Our previous post, The Mysterious Case of the Army Uniform, presents evidence that would date this token to 1915. 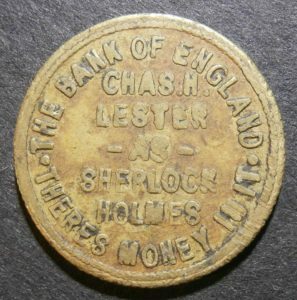 This is now the earliest known numismatic item celebrating Sherlock Holmes and was issued while there were still 13 stories of the original Canon yet to be published! We would like to thank the 34th Garrideb, Darren Burgess, for sharing his discovery with us. CORRECTION: We mistakenly titled this token as being from Australia when originally published at 17:47 on September 12. We have corrected this, at 20:23, as actually being from Wales. Our apologies for this error.